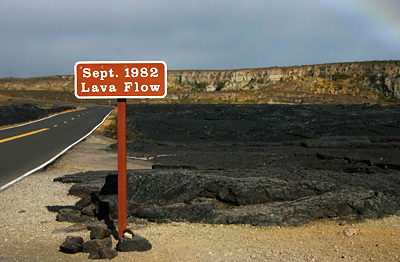 While exploring Hawaii, Jan Blanchard spotted this official sign at the end of a lava flow. She pulled out her Canon Digital Rebel (with 18-55mm zoom) and captured the shot in Program mode. She dialed down exposure compensation -2/3 of a stop to keep from overexposing the dark flow of the lava.